EXCLUSIVE AT NET-A-PORTER.COM. 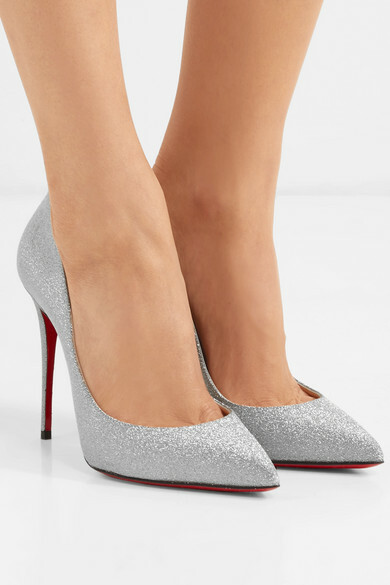 Wondering what makes Christian Louboutin's 'Pigalle Follies' pumps different from the Frenchman's other hit pieces? They have a slightly larger toe box than the 'Pigalle' version and are the only style to have comfortable cushioned insoles. 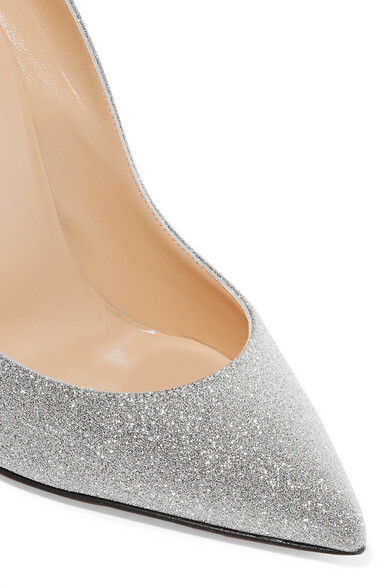 This silver pair has been made in Italy from glittered leather and set on the same narrow, tapered heels as the designer's 'So Kate' shoes. Shown here with: Dion Lee Dress, Jimmy Choo Clutch.